Jazz Zone Peru is the place where jazz meets the passion and warm atmosphere of Latin America: a busy weekly schedule, menus named after great music genres and compositions like Autumn Leaves, So What and Black Beauty, and good selection of cocktails. The venue primarily hosts shows by national artists, though it’s not rarity for international acts to stop by. 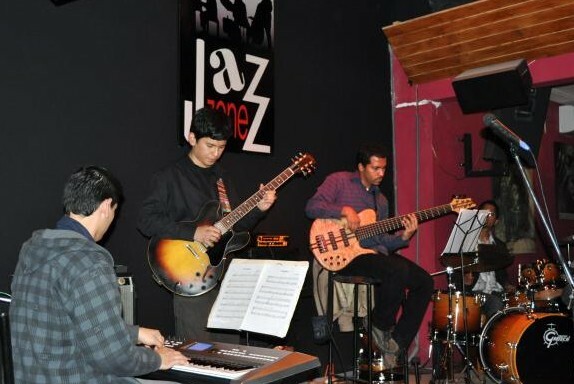 Located in Lima, the capital of Peru, Jazz Zone Peru is the joint to be for every jazz aficionado. Even though jazz is not the only music genre present in the monthly schedule – latin, world music, rock and blues are also played at JZP – it is the main reason why people stop at the club. Taking somehow inspiration from a legacy of legendary jazz venues, JZP combines the friendly and passionate spirit of Latin America with jazz culture. Live performances from Monday to Saturday make the place the jazz main stage in the country’s buzzing music scene. Local artists are the main acts, but it’s not unusual to see names of international resonance scheduled to perform as well. Jazz Zone Peru is not only a music temple, but also a culinary ‘Mecca’ for those who like to enjoy top-class food and fresh drinks. Autumn Leaves, So What, Mambo Five and Bebop are not only names of songs or music genres presented at JZP, but they are the name of delights on the menu: appetizers like prosciutto and salami, pilchard, chicken, bruschetta and a lot more. A world of tastes that, combined with cocktails like Satchmo (drink with whiskey and brandy, named after Armstrong’s nickname), My Funny Valentine (jazz standard and cocktail that combines gin and cognac) and Jazz Zone, but also non-alcoholic beverages, will make your stay at Jazz Zone Peru an unforgettable one. The venue also serves as music stores, displaying a big collection of records, a unique chance to enrich your own personal music library with a couple of Latin American jazz’s gems. Due to the popularity of Jazz Zone Peru, especially on Saturdays, reservation is recommended. If Peru is on your bucket list, if it’s your next destination or if you live in Lima and near regions, then you have to stop by for a thrilling night of explosive live music at Jazz Zone Peru, you’ll simply love it!